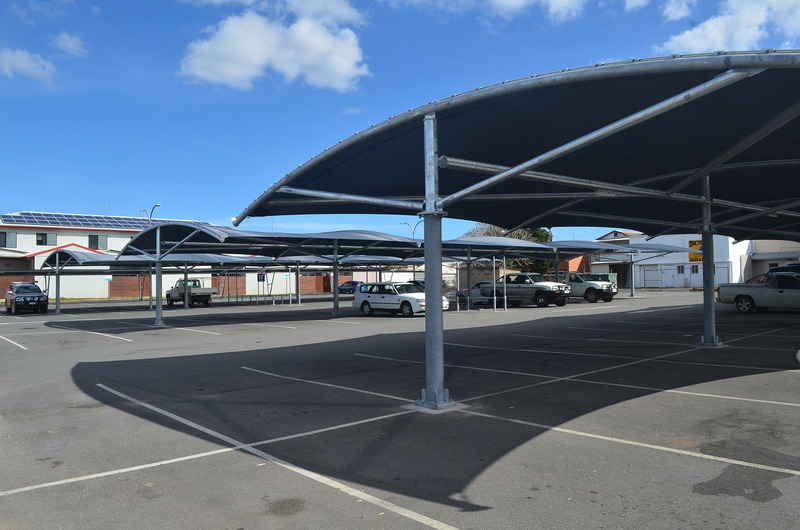 This 90 bay cantilever shade structure fabricated from Monotec 370 with 90% UV-R protection was installed on the Atherton Tablelands. Engineered by Wright Outcomes Pty. Ltd. the two single, two double bay carpark structure provides excellent amenity to the supermarket adjacent. The graphite colour, offered in the Monotec 370 range, creates a smart contrast against the galvanised steel.